A Bundeswehr soldier stands next to his machine gun at the airport near the Gao base in northern Mali. The projects on the official list are from the November 19 agreement and the previous March 6 agreement, all facilitated under Europe’s Permanent Structured Cooperation pact, which is a framework for increased military cooperation and development among EU member states. Every aspect of military preparedness is covered by the project, from training, logistics, command and control to drone warfare, air and naval warfare, space and cybertechnology. Among the specific projects is an EU training school for spies, an upgrade program for Europe’s attack helicopters, new maritime and space surveillance systems, a new long-endurance drone program, and a scheme for EU nations to share bases in Europe and abroad. All of this sounds incredibly ambitious, especially with so few results from previous similar agreements. Some critics are dismissing this as another program that will not progress much beyond the drawing board. However, given the growing rift between Europe and America, and the calls for a “true” European army, this time could be different. These projects are following more detailed and specific lines than previous projects. Germany and France, both prominent in recent calls for a real European army, play a leading role in many of the projects. Germany will lead a drone program and the helicopter upgrade program. France is responsible for the agreement of EU states to share military bases and is also leading the development of a new battlefield missile system, among other projects. One important proposal from November 19 was the establishment of a school to train spies and other EU members of the intelligence community. Brexit has now opened a pathway for European intelligence officials to take “a big step forward” toward integrating more closely with each other. The United Kingdom has traditionally opposed EU intelligence initiatives, preferring to rely on the Five Eyes network instead. Now that Britain is soon to leave the EU, it cannot slow EU integration in this area. With this major roadblock bypassed, the EU now has an easier road ahead to forming a stronger intelligence network. Some EU nations are concerned that the two leaders of the spy training program, Greece and Cyprus, are tied too closely to Russia and may compromise EU security. The possibility of Russian interference or belligerence appears to be a major motivation for tighter military cooperation in the EU. The addition of programs aimed at creating cyber-secure navigation technology is one example. This technology would render global positioning systems less likely to be jammed or hacked. After Russia cyberattacked Finland and jammed gps signals during the recent nato war games, this is an urgent need. Appropriately, Finland is one of the nations tasked with developing this new technology, as are Latvia and Estonia, which have also experienced Russian cyberattacks. The EU also decided to hold “a Europe-wide major civil-military crisis management exercise” with nato this week, to simulate cyberattacks on energy, health and communications systems by “a country that is not very far away from the European Union and is having stability problems.” This likely refers to Russia, given its track record and proximity to the EU. 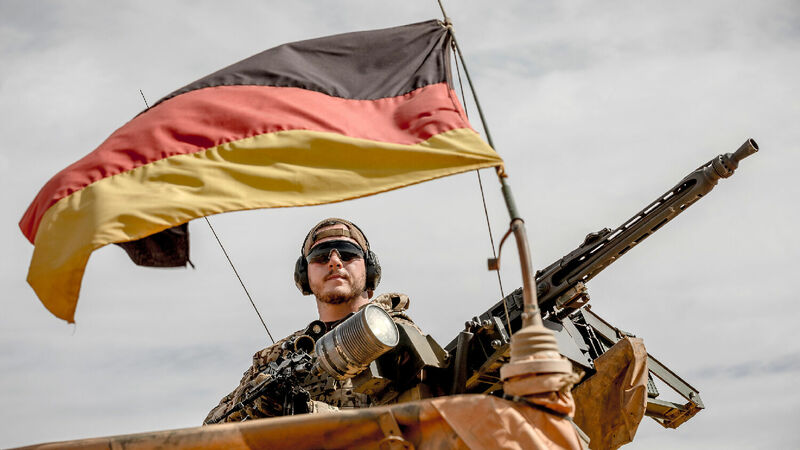 To read more about the dangerous direction Europe’s calls for an EU army are taking the world, read “Why the Trumpet Watches Europe’s Push Toward a Unified Military” and request our free book The Holy Roman Empire in Prophecy.